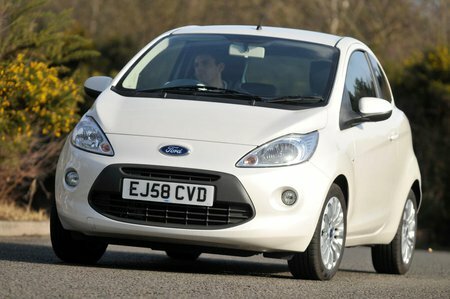 What's the used Ford Ka hatchback like? The first Ford Ka was a kind of motorised teapot, a tiny and rather peculiar-looking thing that was so good to drive it energised the class and spurred other manufacturers on to achieve greater things. It was two doors only, and available with only one rather old and thrashy engine option, but it was a huge success commercially, so much so that this second-generation Ka had a lot to live up to. Opinion is a little divided on whether or not it did live up to it, but like it or not this Ford Ka makes an ideal city car. It shared a lot of its underpinnings with the massively popular Fiat 500, in an effort to keep costs down, and although that baby Cinquecento was no great shakes as a driver's tool no one can doubt its success as an agile and pretty city car. The Ka's small size helps with all the typical urban demands, along with a raised seating position which gives you a good view out. And big mirrors make it easy to judge the extremities of the car, enabling you to slot it into the tightest of spaces. Another point of note is the handling, which is better than the Fiat 500's. 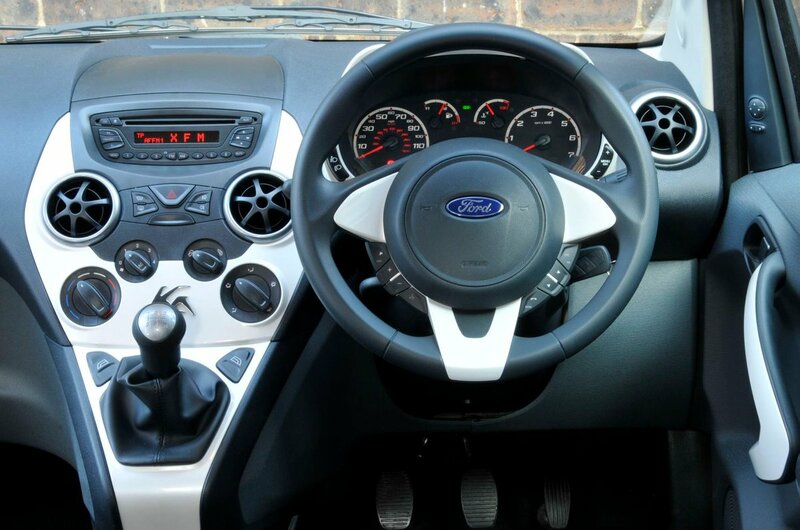 While it doesn’t have that car’s funky interior and extensive accessories list, the Ka received plenty of Ford know-how when tuning the suspension and steering to make it feel nimble, accurate and composed through corners. The ride is also good; it’s still a little bit firm, but it is more composed than the 500. Refinement, however, is a downside, with high levels of wind noise coming from the top of the side windows and also kicked up from the large door mirrors. And the 67bhp engine struggles on the motorway, where it sounds like it’s working hard to maintain speed. A Volkswagen Up would be better if you do need to venture out of town more often. You also wouldn’t choose a Ka to transport larger rear passengers as space in the back is tight. Space up front is good, however, and the boot is large for a small car, only being hampered by a large load lip and lack of split-folding bench on entry-level trims. The interior is clearly laid out, but doesn’t have the same design flair that the Fiat 500 has, which means that you notice the cheapness of the plastics more than you would in the 500. It also doesn’t come with as much standard equipment as a Hyundai I10, which can make the Ka feel quite spartan.